Joe was a gifted car builder in the 70's. He had a vision! 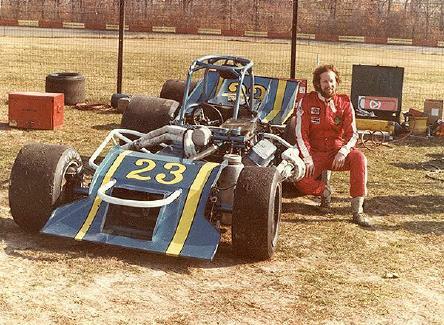 With the help of John Spencer, the 23 car was put together despite a lack of funding and poor health on Joe's part. Never giving in, Joe checked himself out of the hospital to arrive for Classic weekend, 1978, with	John as the driver. 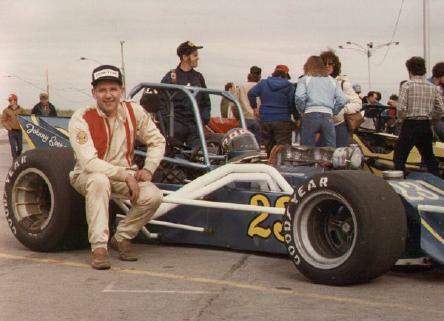 John Spencer in the Fall of 1978 at Winchester, Mass, driving the #23 of Joe Hlywka. John was devoted to keeping this car on the track and put in many long hours in the garage with Joe. Joe's heart and soul were devoted to racing, no matter what his health. 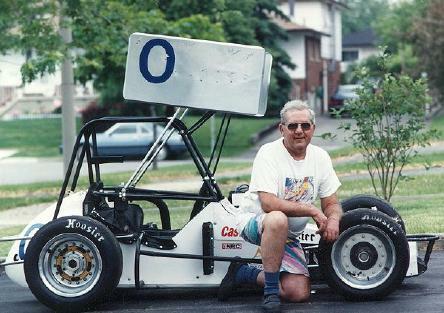 In the 90's, he took an interest in the CanAm TQ Midget circuit, and became a car owner until he passed away! He had some great successes with this machine, and gave several young drivers a great opportunity to test and refine their racing skills.